Today is the age of unprecedented communication. Billions of gadgets exchange tremendous amounts of data every day, and our digital identities have a massive impact on our real lives. Whether you’re a business owner, a civil servant or just a regular citizen worried about your digital data being compromised, read on to learn more about Virtual Private Networks (VPN). VPNs are a popular method of enhancing internet security. They are designed to protect private traffic across public networks and are a tremendous tool for cybersecurity and content-access across traditional borders. This article will tell you about the VPN technology, and discuss the features of NordVPN – awarded a rare 5/5, outstanding review by PC Magazine. So how exactly does a VPN work? Let’s say you want to visit the website of the National Football League. You will first connect to your Internet Service Provider (ISP). The ISP will then redirect you to the NFL. This might seem innocuous, but it’s a problem because the ISP servers now know you’re a football fan. That information could be sold to third parties, who might use it for unsolicited phone calls or aggressive marketing. When you use a VPN, your connection to the Internet is redirected through a remote server run by the VPN provider. The redirected data travels through a secure encrypted tunnel. The IP address of your device is now replaced with the IP of the VPN server, this way minimizing the likelihood that you identity will be given away or your communications compromised. VPNs are helping to create private online identities, encrypt communications and bypass censorship systems around the world. There are many options when it comes to choosing a VPN service. So, what features of NordVPN make it stand out? NordVPN provides layered security, and its encryption tunnels use AES (Advanced Encryption Standard) with 256-bit keys. The IKEv2/IPsec and OpenVPN protocols provide military-grade encryption, making it virtually impossible to breach the secure tunnel. NordVPN is versatile and has apps supporting Windows, iOS, macOS, and Android. The apps are easy to use, and automatically select the user’s encryption settings based on the platform they use. 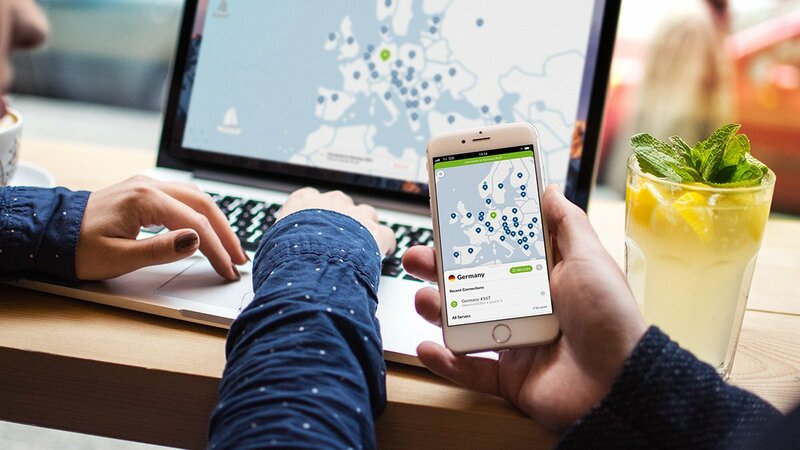 NordVPN’s network offers more than 4000 servers across the world, providing fast connection speeds and diverse access options in every continent. For example, a user in Australia can connect to a server in the US and this way stream content that’s only available in the US. NordVPN offers a way for a user to hide their identity behind multiple remote servers, a security method it calls Double VPN. Journalists and political activists in repressive societies may find this feature very useful. The company collects only very limited user data, such as email addresses, and does not monitor their online activity, ensuring full privacy. There are flexible monthly, annual and bi-annual subscriptions, so there are options available to all kinds of customers. Payments can be made the regular way or using several types of cybercurrency, including Bitcoin. The CyberSec feature can prevent devices already infected with malware from being further compromised, using the ‘Command and Control’ server of the botnet. This will stop your device participating in DDos (distributed denial-of-service) attacks. CyberSec is also useful for blocking malicious software. When you type a website address into your browser, the device will get in touch with a DNS server at a remote location, requesting the IP address of the website you want to visit. Cybersec intercedes at the DNS response stage and checks the requested address against a blacklist of dangerous websites. If the website figures on the list, you’ll be refused access and shown a warning message designed to protect your device. So whether you’re an entrepreneur trying to protect your customer data from cybercriminals, or a Chinese dissident trying to bypass the government’s censorship apparatus, NordVPN may be the solution to your problems. And if you’re still not sure, NordVPN has a coupon offer that’s worth checking out.